In response to frequent requests for recordings featuring her guitar playing, Instrumental Breakdown compiles the instrumental tracks from her critically acclaimed albums Honey From the Comb, Ladyfingers, Ragtime Gal, and Bywater Dance, along with a couple of newly-recorded tunes. These tracks feature Mary’s intricate guitar – both solo as well as with backing from a who’s who of roots notables, including Jon Cleary, Tony Furtado, Fritz Richmond, Pat Donohue, Woody Mann, and Dr. Michael White. 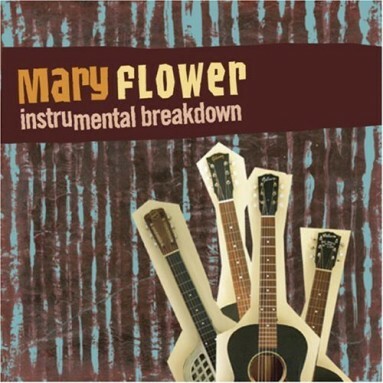 Mary’s distinctive and melodic songwriting is also on center stage, as nineteen of the twenty tracks are her original compositions.